Below you’ll find a photo of Riley’s hand prints spanning nine years. Her first printing was in December 2003 when she was seven years old. I’ve included Mom and Dad’s prints. My next step is to look for changes between Riley’s handprints through the years. Then I’ll look for commonalities with her parents. Also on file are her grandparents, great grand mother, one uncle, two cousins and her brother and sister. 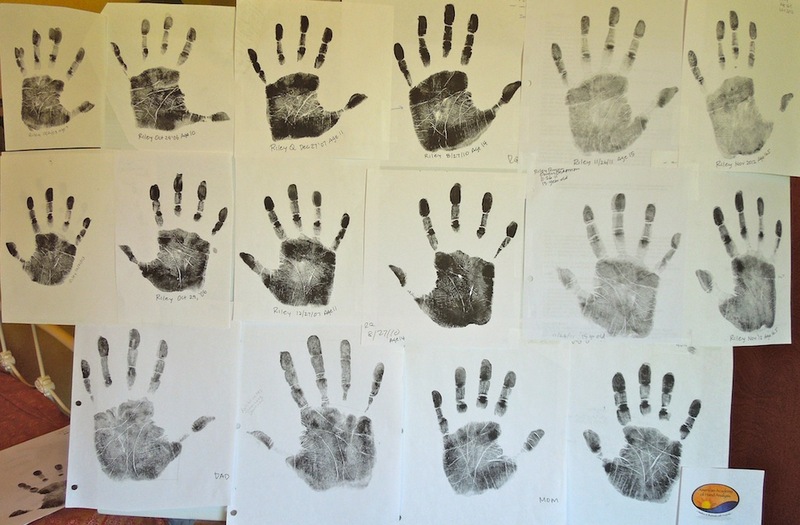 Did you know the family’s purpose can be determined based on a composite of their fingerprints?